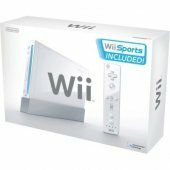 Datel have finally released to retail the SD Media Launcher(1 Gig) For Nintendo Wii/GameCube, Playing Games is what we all love to do but also getting the best in offers which is why Virgin Games promo code 2019 offers such great value and we all want our money to go far in this day and age. This Homebrew launcher for Wii lets you play all the latest Gamecube Homebrew on the Nintendo Wii and Nintendo Gamecube including many emulators and Honebrew games and apps, all available here at Wii News and Gamecube Emulation. With GameCube/Wii SD Media Launcher, you can run all your home brew Cube software on an unmodified GameCube, or on a Nintendo Wii in GameCube Mode. All you need to do is download the program of your choice from one of the many web pages dedicated to amateur programming on the Cube (Google for 'GameCube home brew' to find dozens of sites). Drag and drop it onto the 1GB SD card supplied with the Media Launcher, then plug it into your Wii or GameCube. Launch the application CD on your console and the home brew program is run from there. Easy! Buy from Divineo UK for £24.95 which is way cheaper than buying all the parts needed seperately. a 2GB Card will set you back around $49 but handy to have a card that big. 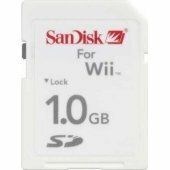 Theres also an Official Wii SD Card released that will work but its a bit more pricey but at least it will work in the Wii as well. SD Card Adapters are a bit harder to find but Ebay is at the moment your best bet, Buy the Gecko version if you cant find the Nintendo Adapter. Theres a 64MB USB Gamecube Memory Card at Play Asia that would take away the need for a SD Card/Adapter at the expense of less space. Its untested at time of writing but a fair bit cheaper than buying seperates. Last but not Least a Nintendo Wii. Without the Console youll go knowhere , USA, JAP or PAL Consoles are all compatible. now copy SDLOADER.BIN to the root of the card, at this point you can load it up with emulators and what not as long as they are in .dol format . They can be in any directory as long as SDLOADER.BIN is in the root. Select the code named SDLOAd and check the box next to it, press start and Open and close the lid of disc drive when prompted. Then SDLOAD starts up and you can take it from there! The Code Process is a one time thing and from then on you can enjoy the world of Gamecube Homebrew and Emulators on your Wii Console easily and without Modification. Emulators for Gamecube that will work this way include emulators for Snes, Genesis, GameBoy Advance, Gameboy Colour, PC Engine and Nes and also a port of Doom. Enjoy Legal Homebrew and Emulation on your Nintendo Wii, thanks to Apocalyptic980c for the tutorial and to Costis for his excellent SDLOAD Application. 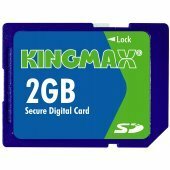 Is there any way to make this work with the Wii's own SD card adapter instead? so how long till someone gets a working n64 or even gamecube emulator running on this? Let me apologize in advance for being newbish. I've never run an emulator on my own computer/machine. I've just been using [link removed, probably not legal. -BC] for all my classic Nintendo needs. However, I'd like to know how to get this emulator working on my Wii for when I deploy. I typically wont have internet, and it would be nice to be able to download a bunch of classics ahead of time. So, I read through the walkthrough... and have eBayed the necessary hardware. As I'm anxiously awaiting delivery, where is a good place to go to download the roms? I've been googling, and looking at downloads pages... and I'm slightly confused. Can I use ANY download? I'm mostly seeing downloads for emulators, but not specific games... So I was hoping someone could either post a walkthrough of downloading games and roms for beginners (since I'm sure we're about to see a flood of newbs like myself) or if I could atleast get a PM with some "instructions for an idiot". Thanks again, I appreciate the help, and please try to keep the flames to a minimum... Everyone starts somewhere. I never thought of adding pics.